Use our free health insurance quote comparison tool to find the best health insurance rates your area has to offer today. Enter your zip code! The CUNA Mutual Insurance Society has been given an A (Excellent) rating from the A.M. Best Company. The company has also received a financial size category rating of XIII. This rating indicates that the company earns $1.25 to $1.5 billion a year. 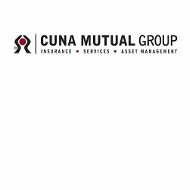 There are three main subsidiaries associated with the CUNA Mutual Insurance Society. The three CUNA subsidiaries are the Producers Ag Insurance Company, CPI Qualified Plan Consultants, Inc., and Members Capital Advisors. Members Capital Advisors is a company the focuses of investing assets. Members Capital Advisors was formed in 1982. This company also works closely with credit unions. CPI Qualified Plan Consultants, Inc. is a record keeping and administrative services company that provides assistance to investment and retirement plans. CPI Qualified Plan Consultants, Inc. was founded in 1972 and is currently located in the state of Kansas. CUNA Mutual acquired this business in 2009. The Producers Ag Insurance Company is also known as ProAg. This insurance company mainly focuses on crop insurance, which is a specialized and unique insurance market. A single crop insurance salesman formed this company in the 1920s. Today, the Producers Ag Insurance Company is a leading supplier of federally subsidized crop insurance and special hail insurance for crops in the country. The employers that wish to pursue group employee benefits through CUNA Mutual are able to customize their plan to their business. The types of investment services and products CUNA Mutual offers are annuities, brokerage services, and IRA services. The types of employee benefits an employer can get through CUNA Mutual include 401(k) and other retirement plans, executive benefits, benefits for pre-funding services, and group benefits. The long-term care insurance available through CUNA Mutual offers a way for their policyholders to protect themselves from the high expenses of needing long-term medical care. This type of coverage can help pay for the medical expenses that are not typically covered by other insurance policies, provide more security when it comes to retirement funds, and offset the costs associated with living in a nursing home. The forms of life insurance offered by CUNA Mutual to members of a credit union are whole life and term life insurance. A whole life insurance policy offers a cash value that grows over the life of the policy and fixed premiums. Term life insurance is the least expensive form of life insurance available. Start comparing health insurance rates now with the comparison tool located above. To see your customized side-by-side health insurance quote comparison type your area’s zip code in the box above right now! I want to purchase dental insurance and is their period for dental insurance to become active? and I would like to know the cost-per-month.